Following the Campaign for Clear Licensing’s open letter to Oracle, members of the Oracle Users Group (IOUG) have responded. Members advocate and elected board member of the IOUG, Debra Lilley, said that the open letter and accompanying advisory were more balanced than recent assertions made by the CCL. “I, on behalf of UKOUG have read the Open Letter to Oracle from The Campaign for Clear Licensing (CCL) and actually applaud the 7 steps as best practice, although do not necessarily see them as direct indictments against Oracle,” Lilley said in a personal blog. In November, the CCL published research which suggested that Oracle’s licensing and audit policies had led to an environment of deep-rooted mistrust. At the time, Lilley and IOUG fired back, calling the findings ‘very harsh’. “The open letter does pick up on lots of more positive things from Oracle and I feel is better balanced,” Lilley said. However, not all the rhetoric coming out of the IOUG was quite so diplomatic. John Matelski, president of the IOUG, pointed out that Oracle was taking significant and on-going steps to ensure improvements to its licensing practices. 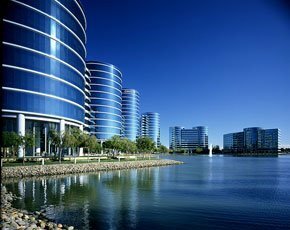 “I was extremely surprised and dismayed to learn that there are still those in the customer community that would suggest that their relationship with Oracle is predominantly hostile and filled with deep-rooted mistrust, particularly when it comes to licensing and audits,” Matelski said. “Oracle has acknowledged that they have some challenges to overcome related to making it easier for customers to understand the diversity of licensing options across the plethora of technology solutions that they have to offer,” he said.